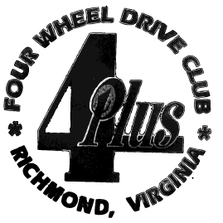 Capital City Four Wheelers, or CCFW, is a family-oriented four wheel drive club in the Richmond, Virginia metro area. We organized in 1983, with about 12 families — our members, and have grown to 44 member families in 2017. When we began in 1983, most of us were just starting out raising our families. Now the children of the first generation are coming back to join as members themselves - and their children are members too! Long time member club from the Richmond Area.. 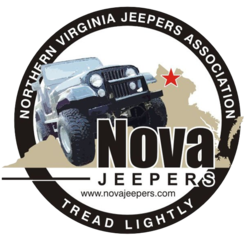 The Virginia 4 Wheel Drive Association is proud to welcome its newest member club. Goin' Coastal Jeep Club. Is an informal and Family Friendly club of folks that enjoy our Jeeps and like to hang out. There is NO Membership cost to be a part of Goin' Coastal Jeep Club. The only thing we ask is that you always use respect towards other members and Never Wheel illegally. We have Zero Tolerance for Drama or Illegal activities. Hampton Roads Jeep Club is a family-friend group of Jeep owners primarily from the Hampton Roads area of Virginia and Northeastern parts of North Carolina. Middle Peninsula Jeep Association Inc. This long standing member club is an outstanding group, from hosting our VA4WDA Member Only Run to their proactive community participation both local and regionally. 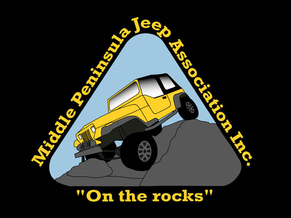 Please check out the Middle Peninsula Jeep Association Inc. 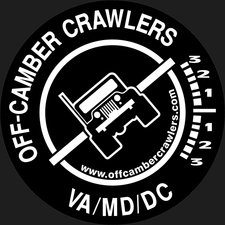 This well established off road club out of Northern Virginia has joined us on the trail for years, this club exemplifies what VA4WDA / BRC / and U4WDA stand for. PLEASE if you are from this area check them out. We are Jeep and other 4x4 enthusiasts who seek overland trailing. camping, community events, sharing off-road experiences and adventure. The preservation, expansion and creation of trails is a core desire for this club. Bigger things are coming... Stay tuned! Our motto is simple "Don't Threaten Me With a Good Time!" preserve our sport, and we wheel a little more. please send it to ironman@va4wda.org thank you! !